There is no room for being complacent in today’s business world. No matter the size, every business needs to build their unique systems and processes for maximum efficiency and productivity or risk becoming obsolete. In this post, we will be discussing one such tool that is being increasingly used to bolster the sales and marketing function of small and medium-sized businesses. Customer Relationship Management (CRM) systems help in organising and managing valuable customer information and insights to improve customer service, retention, and ultimately, paving way for growth. 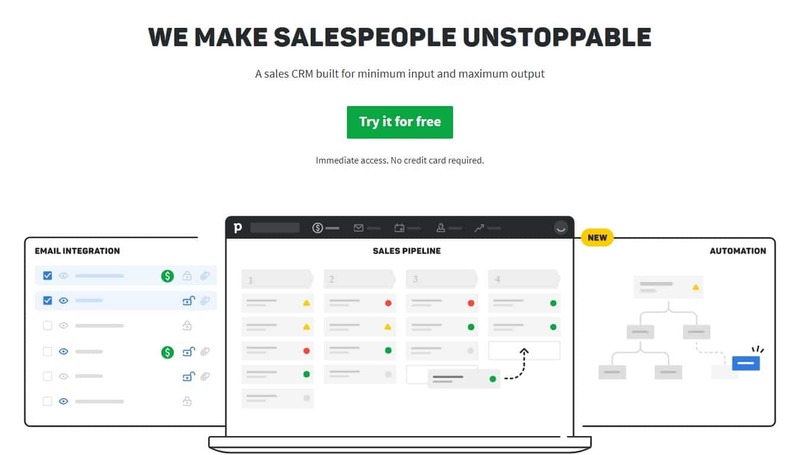 Additionally, these tools help in increasing collaboration amongst teams by serving as the ‘go-to’ database for all of your leads, prospects and customer data. Although CRMs have been around for quite some time, the technology has evolved these systems have become less expensive and more accessible to small business owners all over the world. So much so, that the CRM industry is pegged to exceed $40 billion this year. Cloud-based CRM tools offer business owners, managers, and employees the ability to seamlessly integrate critical business processes. While leaders can keep a track of business results, employees can respond to customer requests and manage leads in real-time. When used correctly, CRM tools ensure that everyone is connected and up to date with the latest developments in their team and allows sales personnel to become more productive and agile. Your team is able to store commonly-used marketing and sales materials like brochures, product catalogues, pricing plans, and other resources to be used in email communications and automated follow-ups. 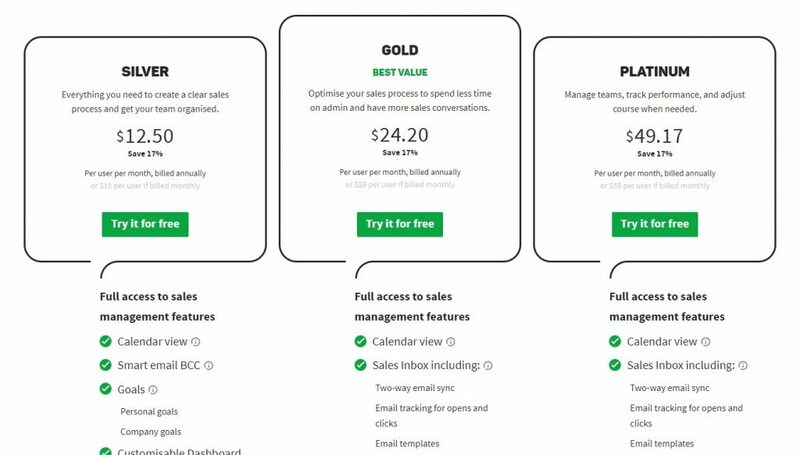 Similarly, they also save time by automatically updating the status of each sales case in real time and to allow your salesperson to focus on selling rather than data entry. Most (not all) CRM tools are also capable of scoring leads according to a predetermined set of values or activity. Again, this helps your sales team focus on those who are looking most likely to buy based on demographics and engagement with your marketing. These are just a few of the benefits of using a CRM to help assist your sales and marketing processes. In the process of helping the sales and marketing team become more efficient, CRM tools create a tangible impact on customer service. They help businesses understand, connect, and engage their customers, both existing and potential, much more effectively. By implementing some simple tracking script on your website you are able to keep track of all the pages that your leads/customers have visited as well as see what emails they’ve opened and links they have clicked. This gives your customer service team the edge when trying to assist as they’re able to see what the customer has been engaging with and looking at. Similarly, since all customer information and activity is tracked, even a new salesperson can access the same information and take over the process seamlessly, without the customer having to start all over again and have a bad experience. CRM tools keep detailed records of previous emails, phone calls, meetings, and demonstrations to allow all salesperson to cater to all leads and customers. This standardises the customer service and sales process because it empowers each and every employee to effectively help all leads and customers equally well. For instance, as soon as a lead or a customer contacts your company, all relevant information and activity are made available instantly to allow a continuity in the conversation and prevent duplication of information or effort. CRM tools are capable of translating huge amounts of scattered data into meaningful reports to help you identify your strengths and weaknesses using data-driven knowledge (rather than just gut feel). Members of the sales and marketing teams can benefit from these reports by forecasting targets and growth, and also establish the best way to approach customers based on their best performing marketing campaigns and sales processes. For example, reports that are available in most systems can instantly help you figure out which stage in the sales process is taking the longest to move forward or how many follow-up calls are needed on an average to close a deal. By creating key performance indicators for your processes and employees, these reports can also help in identifying process gaps as well as your best (and worst) performing team members. Having a better understanding of the business helps you make the best use of resources and leads to better decision-making. The most important thing you need to know is that there are no off-the-shelf CRM tools available that will revolutionise your business instantly. No matter which tool you select, you will have to customise it for your unique business requirements and make it work for you. What sort of a user experience does the software have? Is it easy to customise dashboards and reports for your needs? How will your team respond to using the system? These are some of the questions you need to be finding the answers to. The dashboard and the reporting are two critical features of any CRM software and you need to make sure that both these features suit your requirements. For example, you should be able to add data fields to the dashboard and also be able to export and import customer information. The CRM tool you select must effortlessly integrate with your existing systems and framework. This is critical to ensure that you are able to make the most of features the CRM tool has to offer. For example, does the system integrate with your email service provider? Most businesses use Office 365 or G-Suite. Does it integrate with your existing email marketing system, accounting and billing platforms, so on and so forth. Also, make sure that your chosen CRM tool is compliant with the GDPR norms and has adequate safeguards to keep customer information secure. An important part of choosing any CRM tool is figuring out the degree of customisation you will need for your unique processes. Most systems come with off the shelf an “off the shelf” sales process that you can customise, but you need to know your business inside out so that you can determine what data you need to store for leads and customers, and what stages they need to move through as they advance through your marketing and sales funnels. The objective of this customisation is to ensure that there is process standardisation across your organisation and all leads go through pre-determined journeys and pathways. Since there are only a certain number of scenarios that can be played out, servicing the leads and customers becomes easier. Lastly, ensure that your vendor will offer you support during the initial phase of onboarding, and if required, also provide training. Since a portion of the sales and marketing functions overlap, it is handy for your CRM tool to be able to support relevant marketing strategies as well. 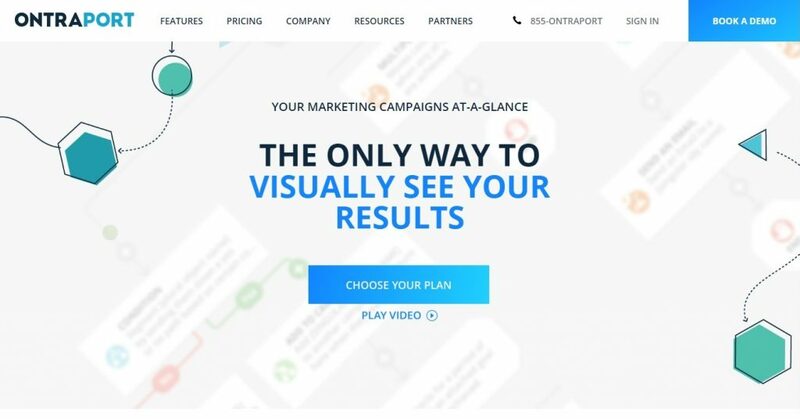 Some “all-in-one” CRM tools have integrated email and SMS marketing solutions that allow you to keep marketing insight and sales data all under one hood. Having a system that helps has integrated marketing automation solutions allows you to build a consistent communication with the customer throughout the sales/marketing journey. And we all know, when your sales and marketing teams will work in tandem towards common goals using the same data – efficiency, collaboration, and transparency will increase. These “all-in-one” systems do come at more of a premium though, so it’s important to weigh up the needs of your business based on your team size and activity. I’ve picked a few tools here that are good places to start if you are looking to get your business started with using a CRM system. In the selection, we have ONTRAPORT, an “all-in-one” tool that offers amazing customisation and a couple of more lower cost, sales specific CRM systems in Pipedrive and Close.io. Let’s take a look. ONTRAPORT’s strengths are its super-easy interface, simple design, a high degree of customisation, and most importantly, the variety of controls it offers. ONTRAPORT is a comprehensive CRM and marketing automation tool that has benefitted over 5,000 small businesses. ONTRAPORT’s strengths are its super-easy interface, simple design, a high degree of customisation, and most importantly, the variety of controls it offers. The software allows for an automated management of all leads and helps businesses classify leads based on their value and the progress in their journey. There are also multiple price plans, with varying degree of features, which cater to businesses of all sizes. 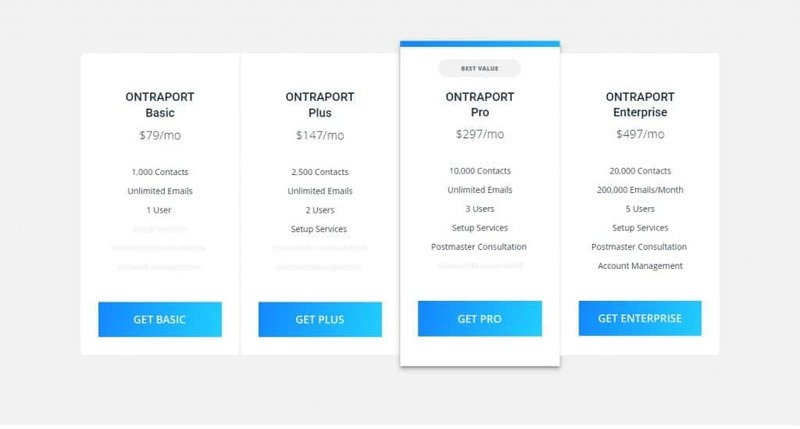 There is a 90-days money back guarantee on all Ontraport’s plans. The plan for a single user starts at $79 per month and goes up to $497 per month for five users. Each progressive plan offers more features and benefits, and there is a 90-days money back guarantee as well. If you didn’t already know, Tribecto Automations is a certified ONTRAPORT consultant. The tool provides a comprehensive view of the sales pipeline, the progress made on deals and the next actionable step to be taken. Pipedrive has proven to be a great tool for small and medium businesses with a sales focus. The platform has a simple user interface that helps businesses streamline their sales process via and easy visual pipeline manager. The tool provides a comprehensive view of the sales process, the progress made on deals and the next actionable step to be taken. It also helps teams coordinate better, generate insightful sales reports, and monitor leads effortlessly. Teams can customise the tool to build their own pipelines and it easily integrates with most email providers, CRM tools, and other systems like Zapier, Trello, MailChimp etc. With plans starting at just $12.50 per user per month (when billed annually) Pipedrive is one of the most affordable solutions in the market. Close.io stands out due to its strong phone integration in the sales process and it’s clear and transparent design. 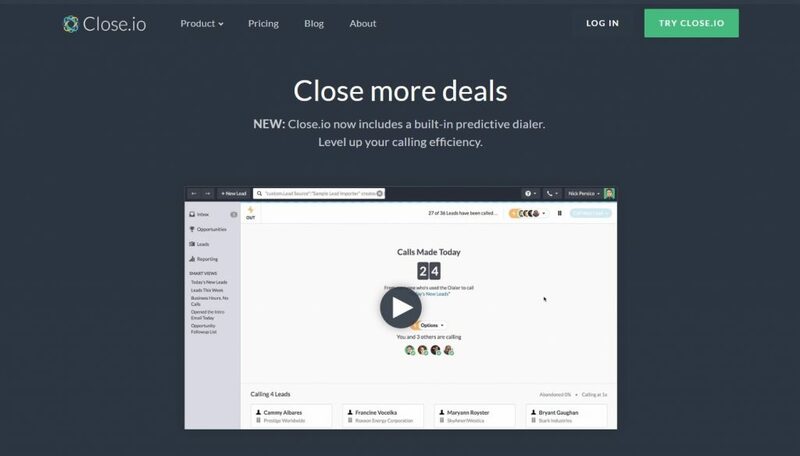 Close.io is a comprehensive system to align phone calls and emails with your sales and communication process. Businesses use the Close.io web app to keep a meticulous record of every call log, recording, note, and request along the customer journey to provide the best service. No matter which employee is taking the call, all pertinent information regarding previous interactions is displayed instantly to facilitate a smooth conversation. Close.io stands out due to its strong phone integration in the sales process and it’s clear and transparent design, which among other things, helps employees gauge the financial value of a prospective lead. Close.io plans start at $59 per user per month when billed annually and their plans come with a 14-days free trial. 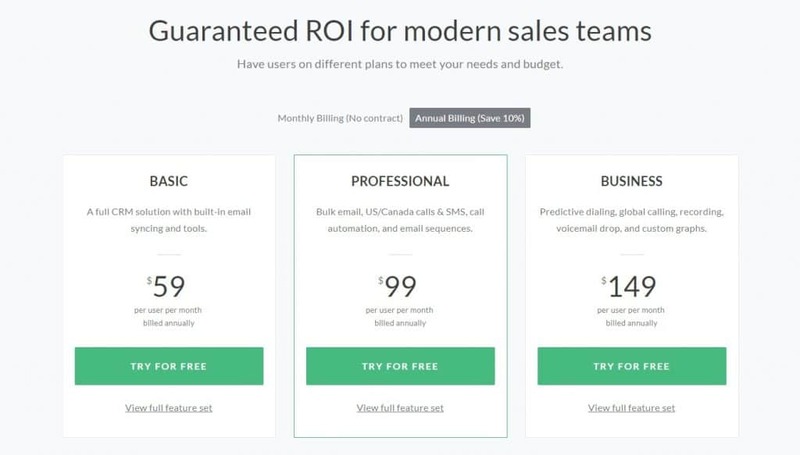 Close.io plans start at $59 per user per month when billed annually and their most expensive plan will cost you $149 per user per month, which puts this CRM tool on the higher end of the scale. Close.io comes with a 14-days free trial. We’re just getting started, my friend! When you begin exploring the above-mentioned CRM tools and start looking for solutions that suit your business, more questions will follow; and the more questions you answer, which tool is the best-suited for your business will become clearer. Remember, do not be swayed by features that sound impressive, instead go for features that will serve your business needs. If you’re still in two minds about investing in a CRM tool, I’ll leave you with this number to consider: on an average, a CRM tool returns $8.71 dollars for every dollar spent and this number has been steadily climbing up every year! The question is, can you afford not to be using one of these systems! ?